The Dallas Police Department is reviewing an assault captured on video that could potentially be classified as a hate crime. According to Dallas police, the incident happened Friday at the Royal Crest Apartments at 3558 Wilhurt Avenue. 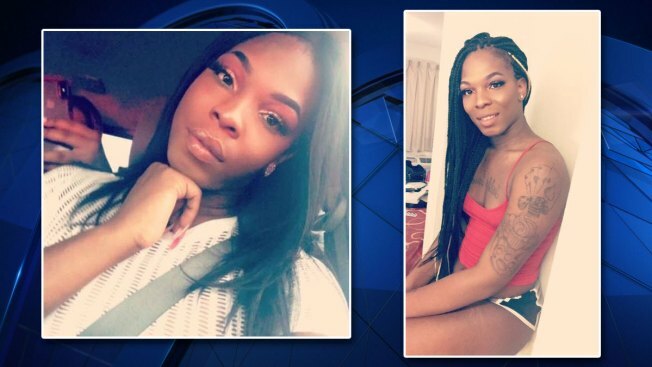 The victim, a transgender female, told police that she got into a minor car crash and afterward was assaulted by several people. The entire attack was captured on video and shared on social media. Family have identified the woman as 23-year-old Muhlaysia Booker. "This don't need to happen to nobody else's kid, so we pray that everything comes out justifiable. We know the Lord works in mysterious ways," Muhlaysia's father Pierre Booker said. Booker said it's not the first time his daughter has faced hatred as a transgender woman, though it is the most violent. "He's a coward," said Booker of the man responsible. Muhlaysia's grandmother Debora Booker is grateful police are investigating whether the assault could be a hate crime. She said she's praying that hearts will be changed for her granddaughter and others. "All I tell them you know is I love them. I love them for whoever they are. And I'm not God, I'm not the judge, I'm not the jury. So all I pray is for these people to find it in their hearts to accept people just like God does," Debora Booker said. Dallas Mayor Mike Rawlings released a statement on the assault. "Chief Hall alerted me this morning to the assault at the Royal Crest Apartments and I have seen a video of what happened. I am extremely angry about what appears to be mob violence against this woman. I am in contact with the chief and she assured me that the Dallas Police Department is fully investigating, including the possibility that this was a hate crime. Those who did this do not represent how Dallasites feel about our thriving LGBTQ community. We will not stand for this kind of behavior." Dallas police are continuing to investigate the incident; no arrests have been made at this time.